The teaser of Ram Charan’s next was released yesterday night by none other than Mega star Chiranjeevi. As soon as the teaser went live, there was a superb response from all over the social networking sites. 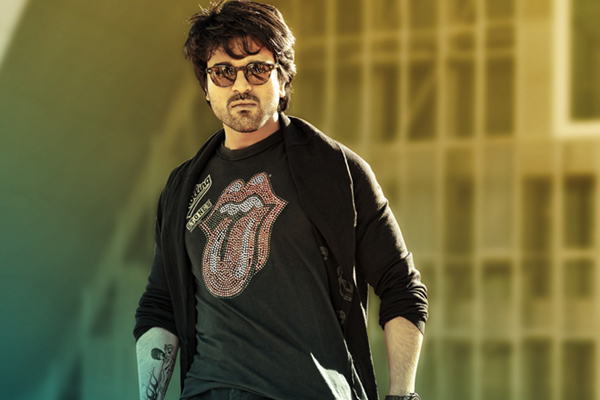 Charan was seen in a stylish action avatar and especially his tattoo became a talking point everywhere. Directed by Srinu Vaitla, this film has the hot and happening Rakul Preet as the female lead and Charan plays a stuntman in this action entertainer. Megastar Chiranjeevi is also said to do a cameo in this film which has music by Thaman. D V V Danayya is the producer.